We are excited that you will be joining us for a concert. Whether you’re a longtime subscriber or a first-timer, we want you to have the best experience possible. Here you will find directions, parking maps and dining suggestions – everything you need to make your visit to the Symphony memorable! If you have any questions, please feel free to contact Richmond Symphony Patron Services at 804-788-1212 or at patronservices@richmondsymphony.com. Hotel accommodations near our venues can be found here. Located at the Dominion Energy Center 600 East Grace Street, Richmond, VA 23219 Click here for directions. Click here and scroll down to view a seating chart. There are several private parking lots and decks in the area. The cost to park ranges from $7 to $12 cash. View a map of parking and restaurant options here. Plenty of parking is available in the Commonwealth of Virginia parking deck located on 6th street after crossing Franklin. This deck opens 2 hours prior to weekend concerts and at 6pm for weeknight concert. The deck is manned throughout the concert and closes 1 hour after the concert ends. Click here to pre-purchase parking in this deck for a Richmond Symphony weekend concert. Please note, this deck is not always open for LolliPops concerts. View a map of parking and restaurant options here. Subscribers receive 10% off any time by showing their subscriber benefit card. Subscribers receive a 10% off by presenting their Subscriber Benefit Card. Click here for additional information about restrictions. Subscribers receive a 15% discount by presenting their Subscriber Benefit Card. Located at the Dominion Energy Center 600 East Grace Street, Richmond, VA 23219 Click here for directions. This venue is General Admission. The entrance is located on Grace St. in the middle of the building. Please view the parking and restaurants information for the Carpenter Theater listed above. Altria Theater 6 North Laurel Street, Richmond, VA Click here to view a seating chart. VCU West Main Deck 801 West Main Street, Richmond, VA $10.00 CASH ONLY Handicapped parking is available at this location. Click here to purchase prepaid parking for a concert or call 804-828-7275. Please note that this deck is owned by VCU and is not affiliated with the Richmond Symphony. Blackwell Auditorium Randolph-Macon College 204 Henry Street, Ashland, VA, 23005 Click here for directions. Free parking can be found directly behind Blackwell Auditorium and along Henry Street. 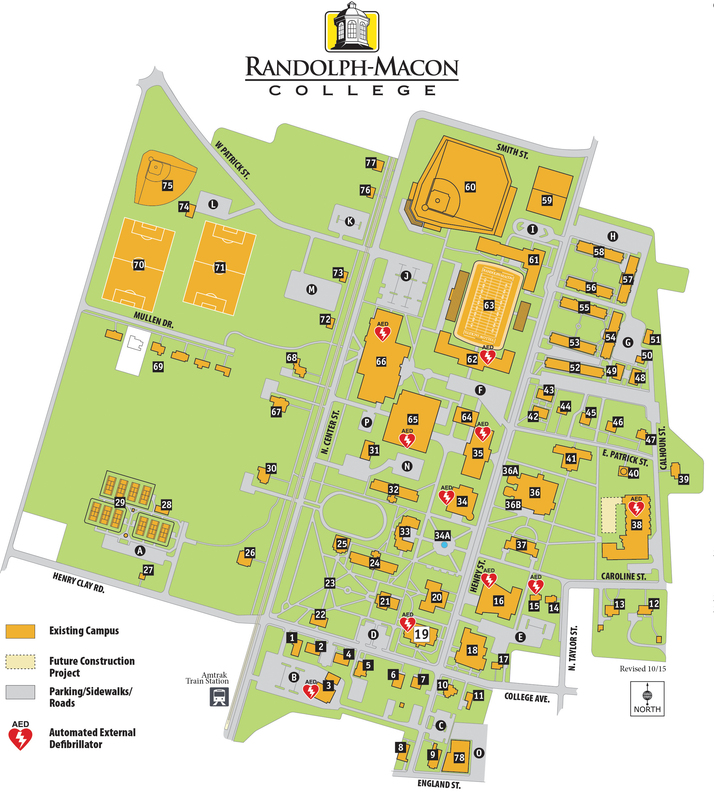 Click here to view a map of the Randolph-Macon campus. Blackwell Auditorium, where the concert is held, is building #16 and Brock Commons, where the pre-concert talk is held, is building #34. 2408-2410 Ownby Lane, Richmond, VA 23220 Click here for directions. This venue is General Admission. Free on-street parking is located near the venue. Rush Hour at Hardywood concerts area held on Thursday nights, which is also Food Truck Night! Food trucks serve from 5:30-9:00pm. The number of food trucks varies from one to eight, depending on the season. Please note we can’t guarantee vegan/vegetarian or GF/DF options. You also have the option to bring in food from outside restaurants or from home to suit your needs.